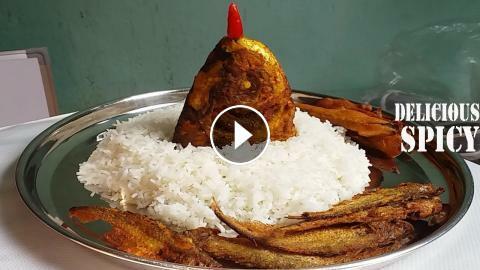 Eating Fried Fish and Fish Curry with Rice Mukbang Spicy Indian Food . Hi Friends Today This Food Makes by Me and My Mom both . This all Food are Spicy Food . If you Watch The Full Video You will Fell Very Hungry . Very Yummy Food These Are .